From HKEOS to the DAC. It's not over till you say it's over. Thanks from Boid.com! The Torch has reached orbital velocity and is on a trajectory to the Trybe team. EOSN 🔥 Connecting the hearts of people within the community through the charm of stories and the power of language. EOSN 🔥 Dream with the dreamers, think with the thinkers and explore a life beyond your imagination. EOSN 🔥 Darkness cannot drive out darkness: only light can do that. EOSN 🔥 May this one torch be our guide, to brighten up the darkest minds. EOSN 🔥 Everything happens for a reason, live it, love it, learn from it! EOSN 🔥 Tomorrow's new sharing economy has started. We are living through some historic times my friends! EOSN 🔥 This is not a torch, nor a token. EOSN 🔥 I'm very excited to be a part of this moment! Together we will change the future! EOSN 🔥 Let EOS shine in Thailand! EOSN 🔥 Changing the world through better communities one life at a time. EOSN 🔥 May this torch illuminate EOS to the world! EOSN 🔥 Freedom cannot be bestowed - it must be achieved. Let's build EOS! EOSN 🔥 You never change things by fighting the existing reality. To change something, build a new model that makes the existing model obsolete. Para nuestros hermanos de Brasil, con mucho cariño desde Argentina. Um grande abraço ❤ ! De Venezuela para Argentina, que la Antorcha ruede por América Latina! Una comunidad global con fuerza para cambiar al mundo. Let the blockchain build our future! From Nairobi to Caracas. Strengthening the community around the world. We are with you Venezuela! EOSINABOX - simple way to create a private EOSIO blockchain! KARMA Passes the torch to EOS Israel | Great job on everything you're doing to educate the community! Happy International Women's Day! Stay Awesome! I hope everyone in the EOS community finds peace in their heart, health and unites together! 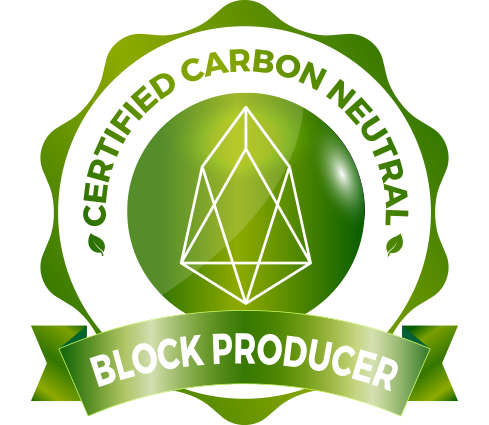 Only by doing this we can make EOS flourish! Handing the TORCH to Maria Cho!! Keep the vibes high! let's LOVE everything and everyone! and enjoy this beautiful DANCE with the UNIVERSE!! I pass this torch to light the way and bring about the birth of a new dawn. Get the torch painted by pixEOS in the Italian colours. 🇮🇹 Tanto amore! For Love, Add Torch Token in MathWallet.org !!! GO GO Van! Lead The largest cannon community to da moon!